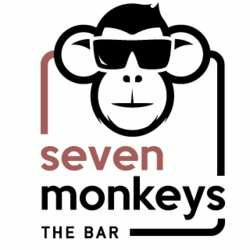 We invite you to join us at our January Official Event @Seeven Monkeys! Let's all meet up and have an amazing time! It's a small new and friendly place to spend some quality time, with lots of different types of drinks and great music. It’s a chance to come, see this place if you have never been there and have an amazing time with other InterNations members! Everybody receives a complimentary welcome drink (which is pre-selected) and of course you have the option of the non-alcoholic drink! Please don’t forget to register for this event by clicking the Attend button and feel free to bring your international friends and co-workers, but please invite them to sign up for InterNations first or inform us accordingly by Posting on the Event Page or by email.